Thomas J. Cafferty | Professionals | Gibbons P.C. Mr. Cafferty represents trade organizations, including the New Jersey Press Association, daily and weekly newspapers, media personalities, and media insurance companies, as well as clients throughout the business community who face First Amendment or media challenges. At a time when media outlets are rapidly increasing in number, adapting to continuously upgraded technologies, and evolving in ways unforeseen even a few years ago, the demand to help clients address media-related issues continues to expand. Mr. Cafferty offers exceptional service and focus to media industry clients attempting to operate within this new landscape. He recently chaired a sub-committee of the New Jersey Supreme Court Bench Bar Media Committee that issued a critical report, ultimately adopted by the full Committee, recommending major changes in the current Guidelines of the Supreme Court regulating the use of electronic devices (such as cameras, laptops, and cell phones) in courtrooms. 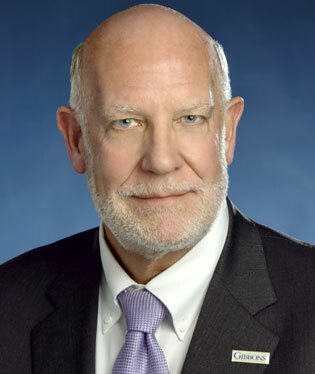 Mr. Cafferty has served as General Counsel for the New Jersey Press Association for close to 40 years and has worked with some of the largest news organizations and newspapers throughout the state. Additionally, he served as an Adjunct Professor of Communications Law for the Rutgers School of Communication and Information for more than a decade. Mr. Cafferty served on a New Jersey Supreme Court Committee that prepared a comprehensive report that formed the basis for revisions to the court rule governing access to judicial records and was instrumental in drafting the New Jersey Open Public Records Act (OPRA), which replaced the former inadequate Right To Know Law. He addresses First Amendment issues for a wide range of clients, including those within a broader business community that are adapting to such issues within a rapidly evolving new media environment. For example, in a highly publicized case in recent years, Mr. Cafferty successfully obtained a settlement on behalf of a law firm that required a disgruntled former associate to take down a website dedicated to mocking his former firm. During the course of his career, Mr. Cafferty has represented numerous public entities, including the Township of Franklin (Somerset County), the Township of North Brunswick, the Township of Montgomery (Special Counsel Eminent Domain), the Borough of Milltown, and the New Jersey Sports and Exposition Authority (Special Counsel Eminent Domain). In each engagement, Mr. Cafferty has represented the public entity in the acquisition of properties for various public projects. For example, he represented the Township of Franklin in the acquisition of numerous parcels related to the construction of a major road opening an area of the Township to significant commercial development. Reviews and advises the Supreme Court on a policy governing commercial filming in court facilities. The New Jersey Supreme Court held that presumed damages continue to play a role in New Jersey’s defamation jurisprudence in private plaintiff cases that do not involve matters of public concern. Where a plaintiff does not proffer any evidence of actual damage to reputation, the doctrine of presumed damages permits him or her to survive a motion for summary judgment and to obtain nominal damages if successful at trial. The Court provided, however, that in order to receive compensatory damages, a plaintiff must prove actual harm to his or her reputation. Our client, NJPA, intervened in this case to argue that logic–in the form of fairness, public policy, and social realities of the day–required the eradication of presumed damages in the law of defamation. We argued that the continued sanctioning of presumed damages perpetuates the ability of a jury to punish unpopular speech and opinions in the guise of presumed damages without necessarily achieving the true purpose of the tort of defamation–compensation of a plaintiff whose reputation has been damaged. That purpose of compensation is served by requiring every plaintiff to establish proof of actual reputational injury. While the Supreme Court did not fully abolish the doctrine of presumed damages, it largely adopted the position of the Press Association. In this case, the New Jersey Supreme Court confirmed that–absent clear and convincing evidence of actual malice–an admittedly incorrect “teaser headline” that refers readers to an accurate headline and story cannot be the basis of a defamation claim where a public figure or matter of public concern is at issue. By strictly adhering to this actual malice standard, the court has reaffirmed the commitment of the state to protect speech, even erroneous speech, regarding public figures and public matters from the expense and chill of protracted litigation, by disposition of lawsuits at the summary judgment stage. This issue–whether and when summary judgment is appropriate when the issue is “actual malice” (did the defendant possess the requisite knowledge of falsity or a high degree of awareness of probable falsity? )–was a critical issue for the state’s media, and it was for that reason that NJPA intervened as an amicus. If the Supreme Court decided the grant of summary judgment was inappropriate because actual malice implicated questions of intent that could only be decided by a jury, the media would no longer have the ability to expeditiously resolve defamation actions short of trials. Gannett Satellite Information Network, Inc. d/b/a Gannett New Jersey Newspapers/Courier News v. Borough of Raritan (Docket No: SOM-L-1798-09); Representing Gannett Corporation; Superior Court of New Jersey, Somerset County; Honorable Yolanda Ciccone, J.S.C. The Courier News filed suit against the Borough of Raritan alleging violations of both OPRA and common law, seeking declaratory and injunctive relief, as a result of Raritan’s refusal to provide the Courier News with a digital (non-PDF) copy of Raritan’s payroll records for 2008-2009. These records were maintained by Raritan’s third party payroll vendor and agent. Raritan, at the time of the initial denial, and for almost three years thereafter, steadfastly argued that the records requested were not maintained in a non-PDF format, and that the records would have to be converted from PDF to non-PDF at a cost to the newspaper. After the exchange of discovery and expert testimony made it clear that the non-PDF information requested did exist in the computer system of Raritan’s payroll vendor, it was evident that Raritan had maintained an incorrect and unsupportable position for almost three years. Raritan then attempted to raise new reasons that it denied the newspaper’s request. Thus, the newspaper filed a motion in limine seeking to preclude Raritan from raising at the plenary hearing any basis for denial of access to the government records requested that was not raised prior to institution of this lawsuit. That motion was granted. After a two-day plenary hearing and extensive written summations, the court found that Raritan denied Gannett’s request for government records under OPRA and that the denial was not authorized by law. The court determined that Raritan was to provide the newspaper with the records and that the newspaper was entitled to reasonable attorneys’ fees. New Jersey Press Association et. al v. Guadagno et al. Civil Action No. 12-06353 (JAP); United State District Court for the District of New Jersey; Honorable Joel A. Pisano, U.S.D.J. Mr. Cafferty represented the NJPA and other media entities in an effort to overturn the state’s prohibition on photographing and interviewing voters within 100 feet of any polling location. The plaintiffs argued that the prohibition violated the media’s free speech rights to gather and disseminate news, as protected by the Constitutions of both the U.S. and the State of New Jersey. Plaintiffs also contended the ban denied them the ability to cover that year’s general election in-depth and was contrary to the public’s interest in free and robust discussions about elections, government, and politics. The lawsuit sought preliminary and permanent injunctions against the enforcement of state statutes and a directive of the Attorney General that creates 100-foot zones around polling locations in which such activities as picture-taking, exit polling, and interviewing of voters are banned. Defendants in the suit were the Lieutenant Governor Kim Guadagno, in her capacity as the Secretary of State of the State of New Jersey, and Jeffrey Chiesa, Attorney General of the State of New Jersey. Plaintiffs argued there would be significant local and national public interest in that year’s general election and intended to cover it closely and comprehensively, ideally including analysis of factors influencing voters, examination of voters’ feelings about the political process, and voters’ experiences in casting their ballots. Obstruction of access to these voters, plaintiffs argued, minimized the pool of potential interview or photo subjects and severely impaired plaintiffs’ ability to conduct their reporting, in addition to violating their First Amendment and state constitutional rights. Furthermore, since the areas around polling locations are public forums, since no voter would be interviewed on the voter’s way to vote or without his or her permission, and since no voter intimidation or other electoral manipulation has ever been alleged of the press in New Jersey, plaintiffs argued that the ban served no practical purpose. The District Court denied the request for preliminary injunction on October 23, 2012. In light of the impending election on November 6, 2012, plaintiffs determined to enter a voluntary dismissal without prejudice to preserve the ability to litigate the issue fully prior to the next election.